Wiggle eyes with 3-D effects take your creative creations to a whole new dimension! Bright and colorful, they have a convenient peel-and stick backing that makes craft time easier and more fun. 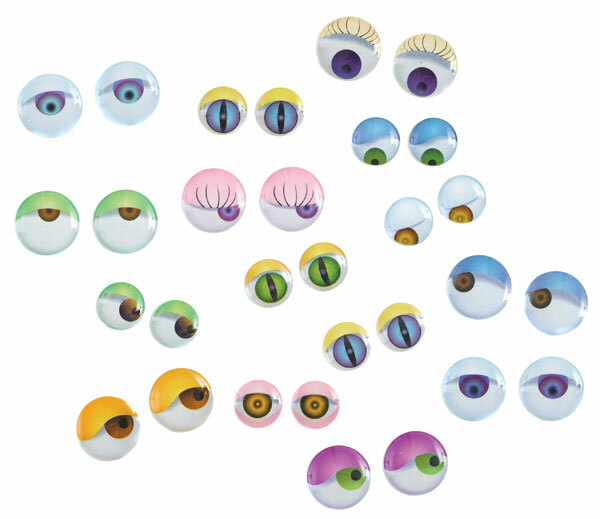 Creativity Street 3-D Wiggle Eyes are sold in a package of 64 assorted sizes and colors. 3-D Wiggle Eyes — Take your creations to a whole new dimension! The package includes 64 bright and colorful 3-D wiggle eyes in assorted sizes and colors.